This year marked our first Thanksgiving entirely on our own. We moved south, and being this close to Tennessee and Kentucky it's only natural to make this a Whiskey Winter (which is really no different than our previous winters). Inspired by the warm rum, cider, and cinnamon my dad made on Thanksgiving mornings, I turned to whiskey to warm up our morning. 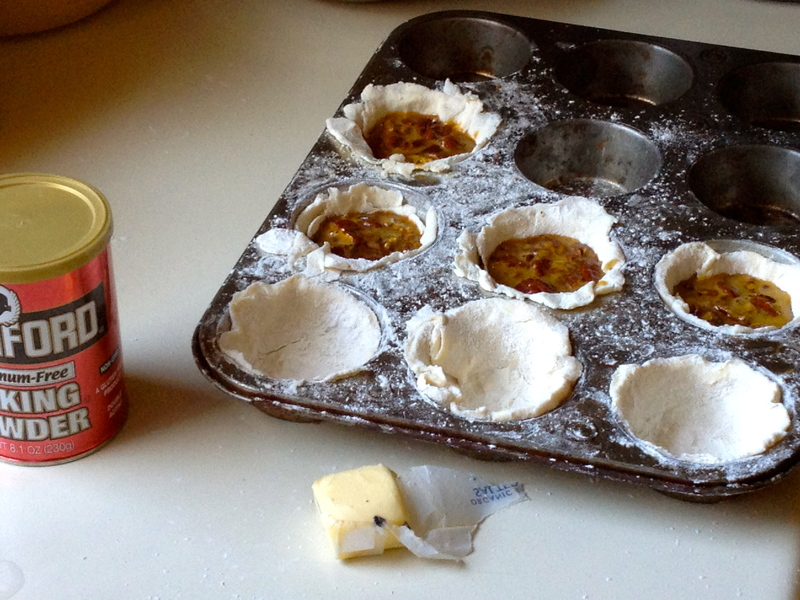 (Meghan's way of warming up the morning was to bake miniature pies in muffin tins). The Hot Toddy is a classic cocktail that has ties to medicinal remedies and the Scottish country-side. One sip will leave you longing to be inside by the fire on a cold, rainy night. The honey always feels like it might get too sweet, while the lemon always threatens to get to acrid, but neither happens. The balance of this adult tea is great, and it makes for a lovely way to start your holiday morning. As the day winds on and you need something stiffer to distract you from an overdose of fam and lack of famine, check out De La Louisiane, a warped cousin of the Manhattan. Warm the water and honey until it dissolves, and then add the lemon juice and whiskey and serve warm. Lie down with a book, and promptly take a nap. 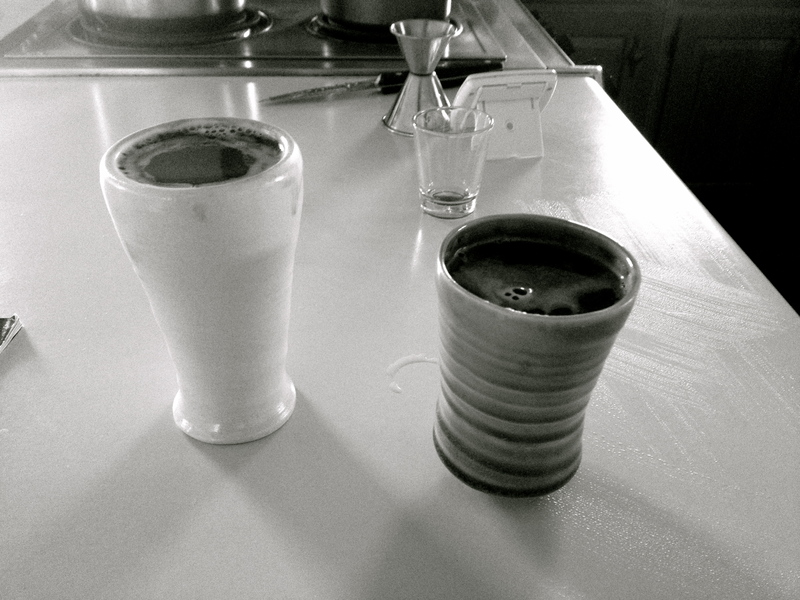 Stir with ice and strain or serve on the rocks. Garnish with a cherry. Hallucinate.